This spring Swarthmore and Lafayette Colleges jointly sponsored a conference, “The Future of the Liberal Arts in America and its Leadership Role in Education Around the World,” engaging more than 230 college presidents, provosts, and foundation and association officers from around the United States and the United Kingdom. 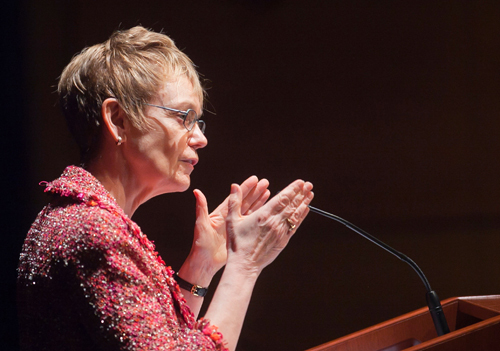 The conference, held in Easton, Pa., and generously funded by the Mellon Foundation, was the first of its type to focus on liberal arts colleges and draw upon the experience and wisdom of the leadership of these fine institutions. My colleague Lafayette President Daniel Weiss and I conceived of the conference in order to analyze key environmental factors and internal drivers that affect the sustainability of residential liberal arts colleges; to discover what existing pilots or best practices hold promise for future development; and to explore new narratives of the liberal arts to guide undergraduate education in the 21st century. Our hope in holding the conference was to stimulate leadership among presidents and others, to address publically the key issues in higher education, and to identify some of the incredible initiatives going on at our colleges. We presidents have been silent for too long in response to the critics about the exciting evolution occurring on our campuses. The conference demonstrated the abiding, deep commitment we share to liberal arts education and the reason for that commitment: Our schools prepare citizen-leaders who can help build a more democratic culture and who are able to infuse that culture with the values of civility and inclusivity so lacking on the national and international stage. Our campuses also provide the space to concretely model community at a time in which many feel disconnected from any greater sense of belonging than they experience with their own families and friends. During my keynote address (bit.ly/distinctlyamerican) I focused on the need to create a new narrative that reflects a wonderful expansion of support for intellectual agility and ethical leadership and also invokes the need to support and guide the new ways of teaching, learning, and living in colleges that “incubate” new models of community in the 21st century. Many of the presidents are already talking about future meetings, both virtual and real. Dan Weiss (who, quite fortuitously, was named the next president of Haverford College in May) and I have been asked to make a presentation at the next Council of Independent Colleges Presidents’ Institute. We are also developing a book that will feature essays by each of the conference presenters. On our campus, and as a result of the strategic planning process, this fall we will begin a “soft pilot” of the Institute for the Liberal Arts. The institute is a response to the desire of many on our faculty to develop more cross-disciplinary collaborations devoted to curricular and scholarly innovation. 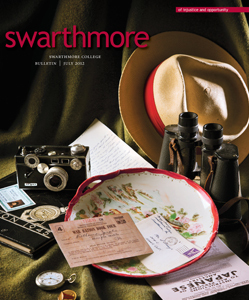 It also evolved from the concerns of many in our community that the continuing value and relevance of the liberal arts must be articulated clearly and that Swarthmore has a leadership role to play in advancing that case. As Swarthmore’s Institute for the Liberal Arts embarks on its maiden voyage, we will look to support short-term and long-term work that knits faculty together across the disciplines, what we are calling “collaboratories”—existing clusters of cross-disciplinary work that do not correspond neatly to disciplines or formal interdisciplinary programs. We also will look to promote a rigorous self-examination of what the concept “liberal arts” means to us as a community and, through outside speakers and symposia, facilitate inquiries into the institutional and intellectual histories of this idea. If successful, the institute can help guide our future directions as well as shape the continuing discourse, as we seek to strengthen the role of the liberal arts in creating the citizen-leaders so essential to the future of our nation and world.